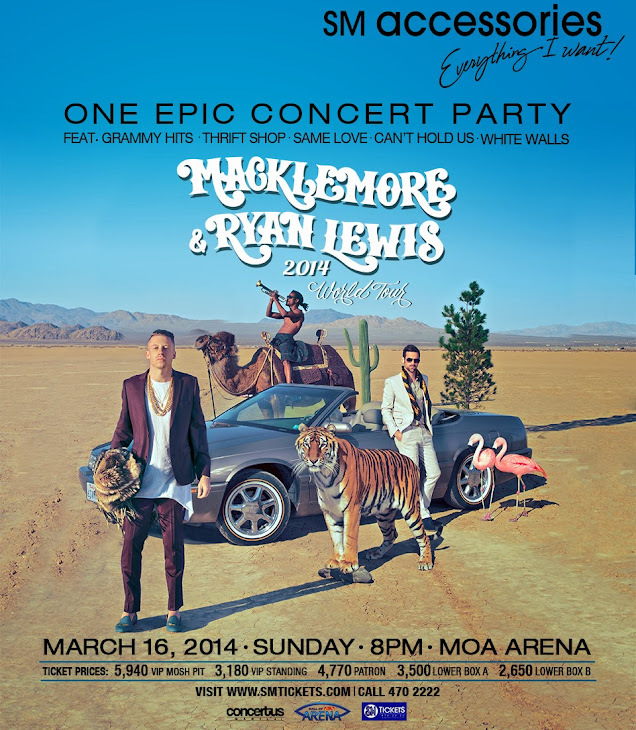 Macklemore & Ryan Lewis live in Manila! With "Thrift Shop" and "Can't Hold Us" as their hits, this duo is definitely one team to look out for! These two songs reached top of the pop charts making Macklemore and Lewis the first pair to reach this in music history. Want to watch them live? Join this ticket giveaway of mine to find out how you can win 2 free tickets to this concert! Click read more! How do you join this ticket giveaway? Well, it's easy, you just have to do 5 things! only got _______ ______ in my pocket"
Watch the what's in store for you here! Can't wait for your replies and see you in the concert!!!! !